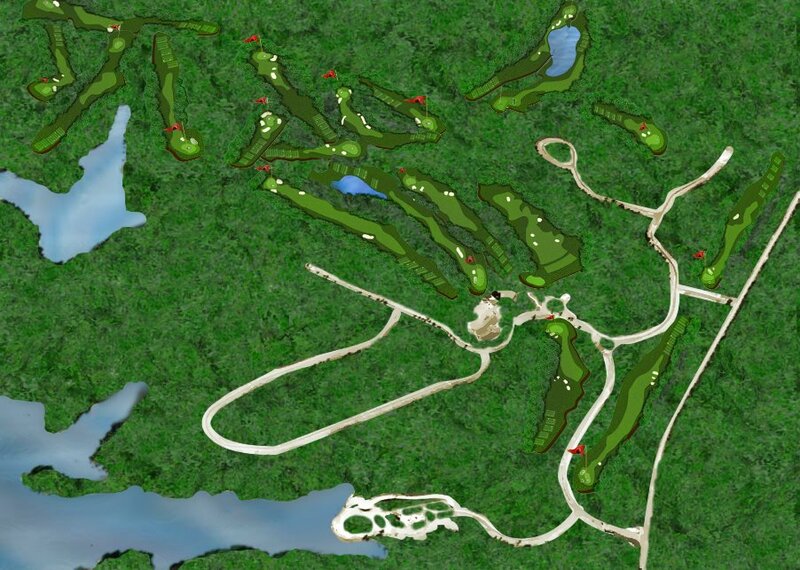 The Crystal Falls North Georgia setting provides an outstanding opportunity for a near perfect golfing experience. From the onset, the goal was to create an environmentally friendly course subtly impacting the existing land through careful placement of the holes on and over the terrain. Retuning nines are featured with a pleasant combination of individual tree lined and parallel fairways. 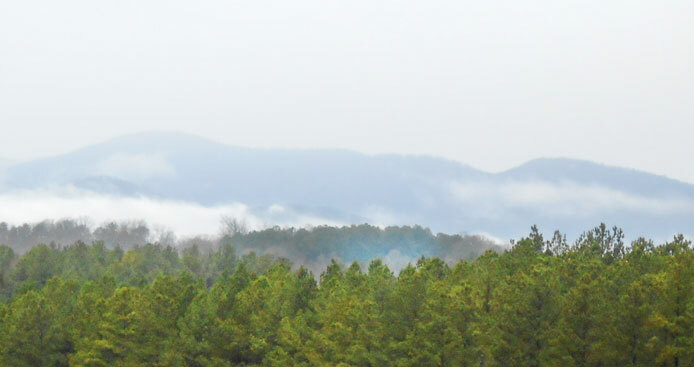 A magnificent entrance to the course features the scenic foothills to the Blue Ridge Mountains as the backdrop. On the first tee, a panoramic horizon frames the 427 yard par four which can be studied in its entirety. 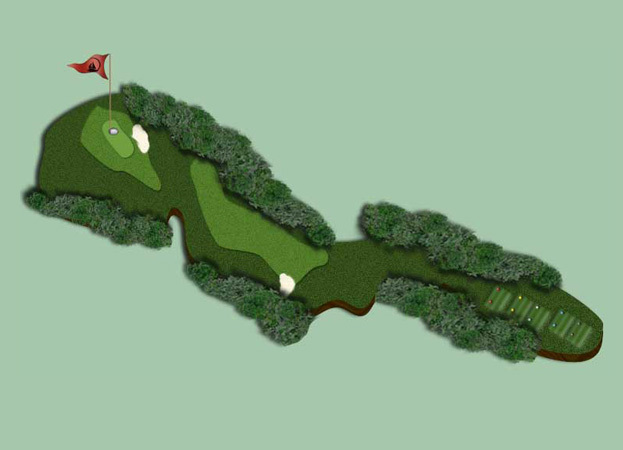 The short hard dogleg driving to the right with a reachable green second hole, quickly tells the story of the variety and challenges lurking in the shadows at Crystal Falls. 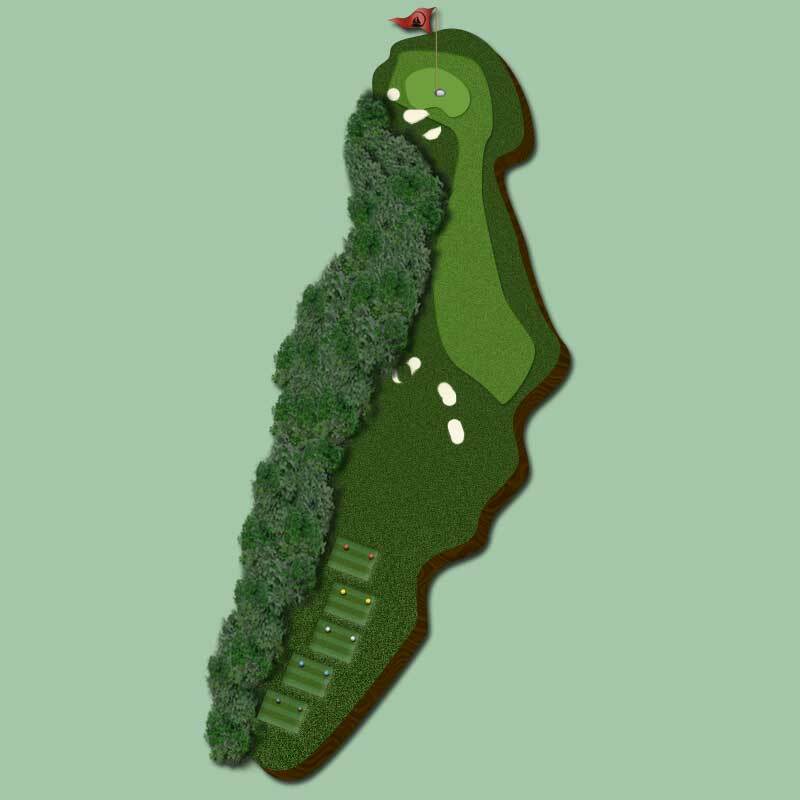 Select a hole below to see a virtual impression. As you stand on the 1st Tee, you face an wide inviting fairway framed with grass bunkers to the left and sand bunkers long and to the right. The perfect tee shot is right center, which leaves a short to mid-length second shot into a long green facing front right to back left. Keep your approach right center to avoid the deep left greenside bunker. 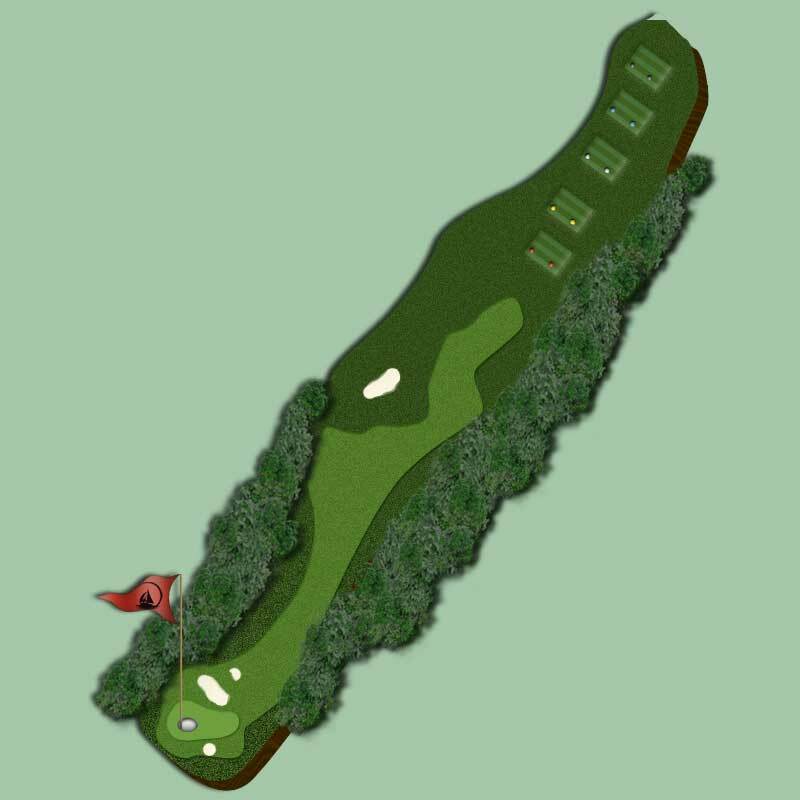 The green slopes back to front and right to left but is relatively flat and thus provides a mild challenge on the starting hole. 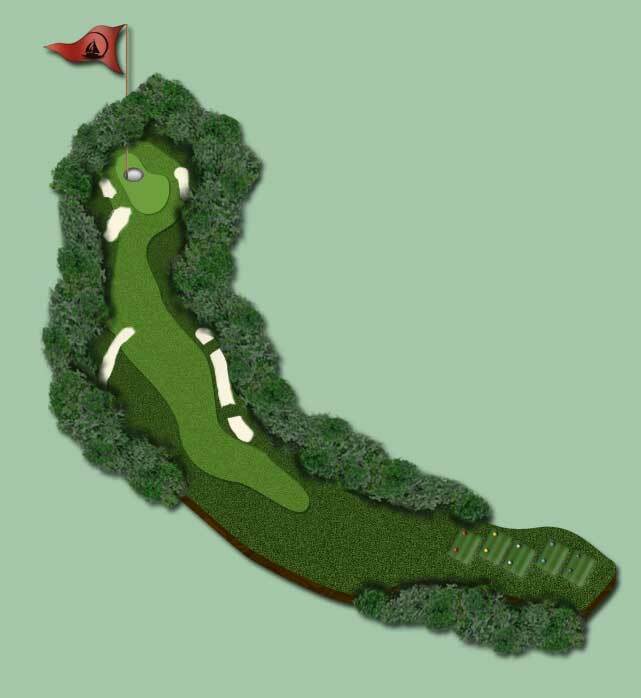 This hole doglegs sharply right and runs downhill on the second shot. From the tee , you must stay left of the right hand fairway bunkers and be careful with the tee shot (there is a hidden fairway bunker straight ahead. 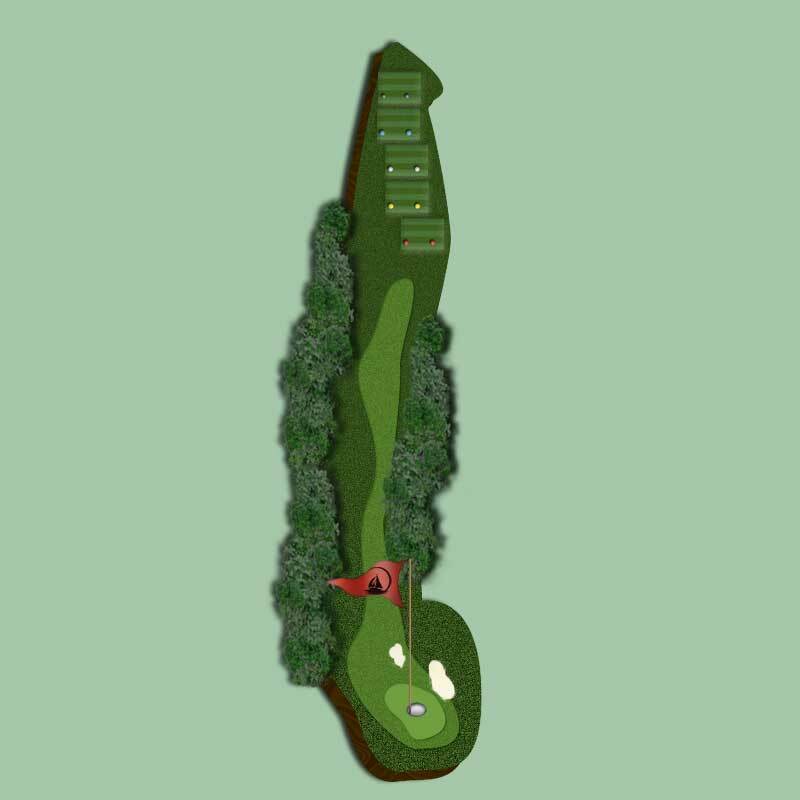 The second shot plays downhill to a green guarded by bunkers right and left. The green is fairly flat typically sloping from center both right and left. This is a straightaway hole with two large bunkers guarding the right side of the green and a lateral hazard further right and long. A tee shot left of the green will generally kick toward the green. The green generally slopes back to front and left to right. Trouble awaits off the tee both left and right and if you're long beware of the water. A well placed drive leaves a challenging second shot requiring carry over water, fairway and greenside bunkers. If you're short off the tee, you're faced with a tight dangerous lay-up, followed by a long approach to the well protected green. Although the green slopes right, once on its clear sailing. This challenging tee shot requires thoughtful placement or a long and carefully placed tee shot to carry the water and be in position for a long second. The second must carry a fairway bunker and avoid the large left greenside bunker. The green is large and relatively flat. 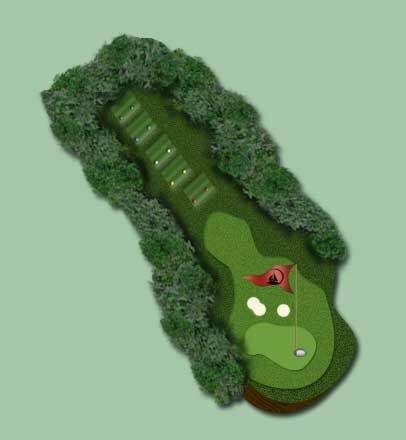 The tee shot on the short Par 3 requires carry over two front greenside bunkers to a large green. The putting surface slopes back left to front right and can be fast and tricky. A long straightaway hole which requires a center left drive to avoid the fairway bunker and position the long second shot. Beware the lurking greenside bunkers both short and long. Once putting, the green slopes back to front and right to left. A relatively easy downhill hole awaiting a sure birdie. The drive must avoid the fairway bunkers and if centered in the fairway hits a chute for extra yardage. 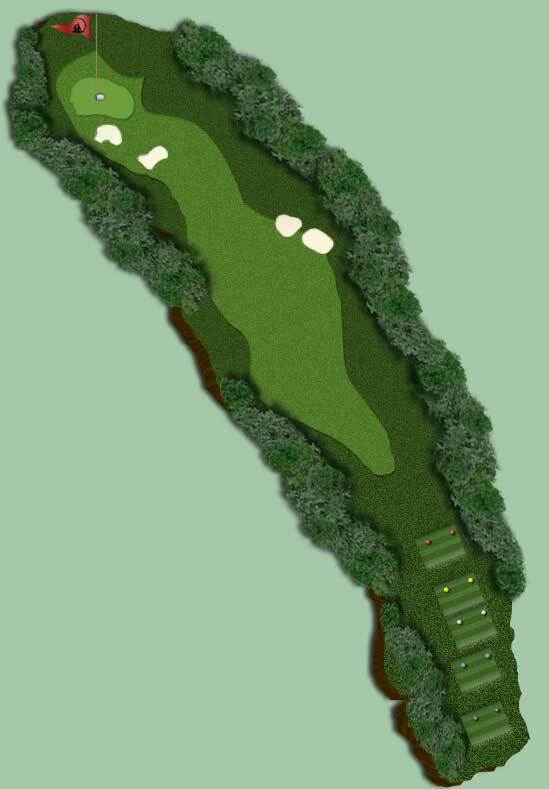 The second shot is downhill and must favor the left since shots bounce right towards the greenside bunker. A short chip must maneuver the wide putting surface which rolls downhill both right and left from center and center front right as well as center back left. 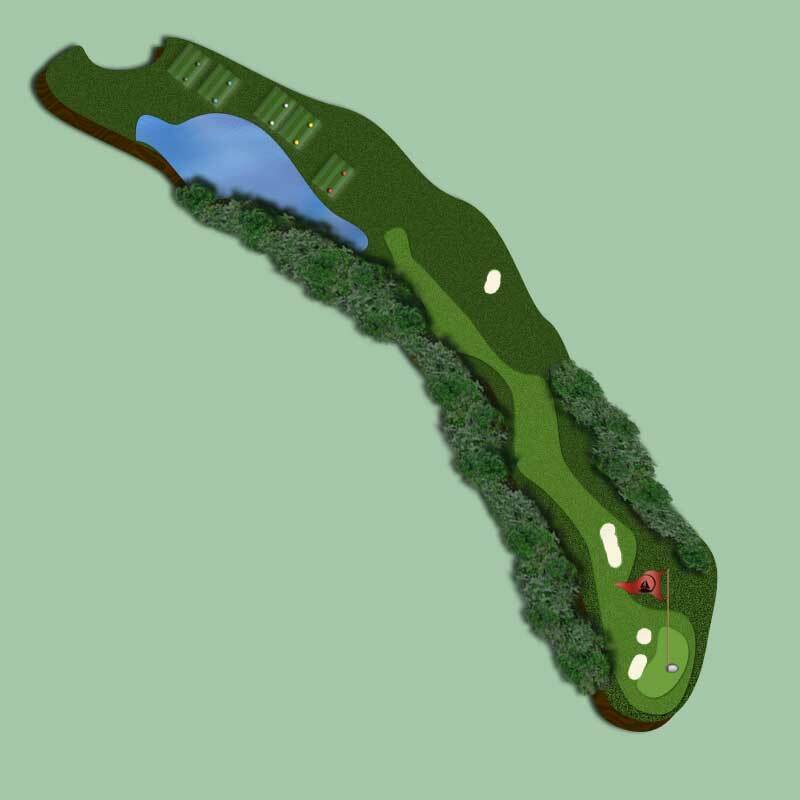 A well placed tee shot must carry the four fairway bunkers and will leave a short iron to a well guarded green. The green is split diagonally and slopes center left to left rear and center right to front left. If the pin is front right, go pin hunting. 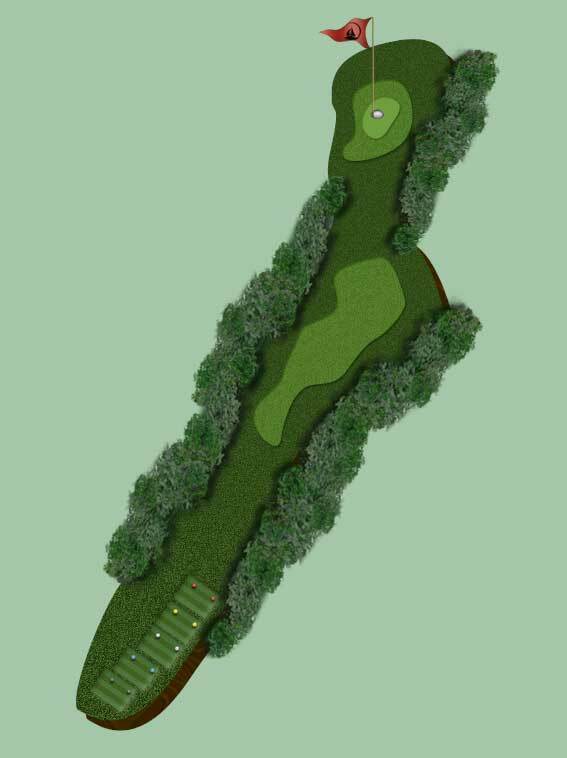 The drive must be placed right-center to avoid the large fairway bunker. Avoid the right side (short) and left of the fairway bunker. The second shot should be placed left center to avoid a second fairway bunker and approach a left to right sloping green. For shorter hitters this green is reachable since the front is hard and much roll can be expected. 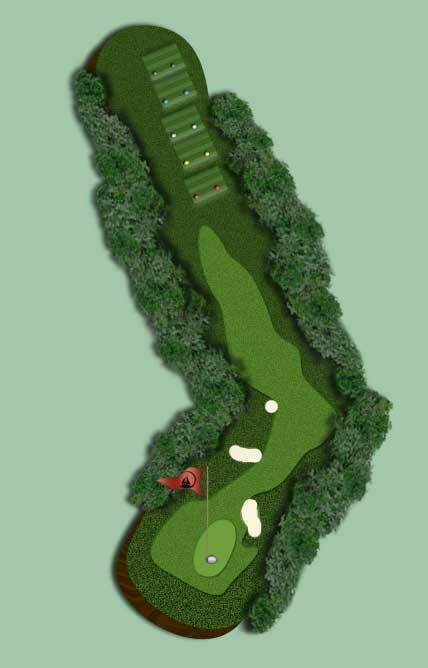 This very short Par 3 plays downhill to a well bunkered green. A long shot is trouble and don't go left. The green slopes middle to front and middle to back. 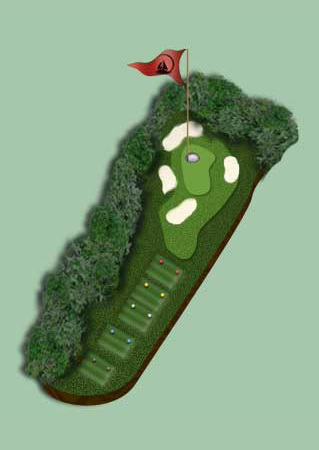 The tee shot must avoid the center fairway bunker and will be positioned for an easy birdie. 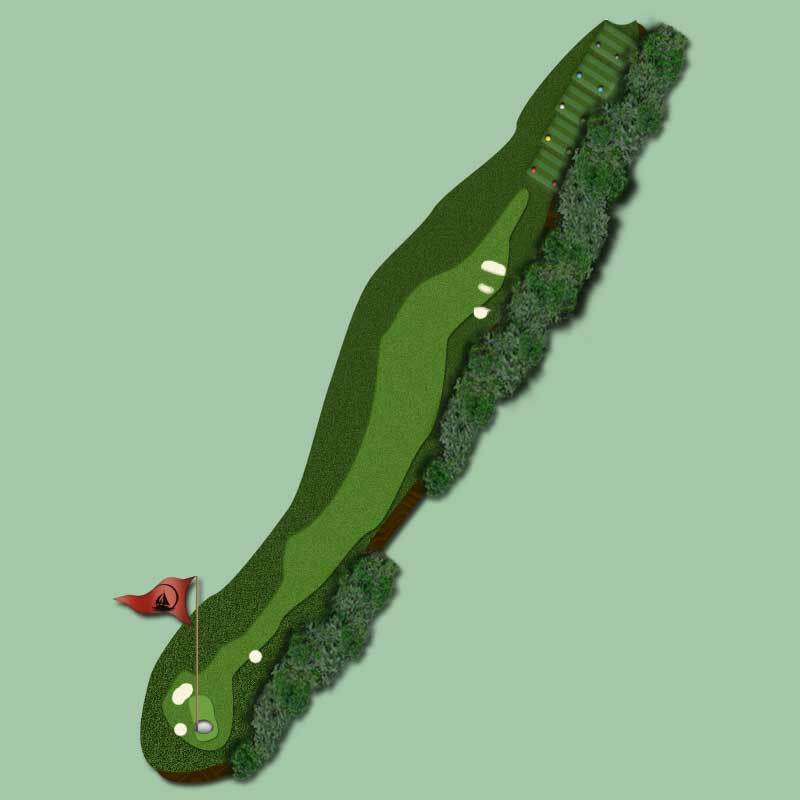 The second shot plays flat to uphill and must be hit to the green (a short right shot will come back downhill rapidly). The green is slightly sloped back left to front right. The tee shot must be right center to avoid the left center fairway bunker but left of the corner tree grouping. A shot in the bunker usually requires a layup to avoid a greenside crossing creek. Once in the fairway, your approach must favor the left side of the green to avoid the deep right-front greenside bunker. The green is relatively flat and slopes back to front. This hole is a slight dogleg right with a right to left sloping fairway. The tee shot must be right center to avoid rolling into the left lateral hazard. 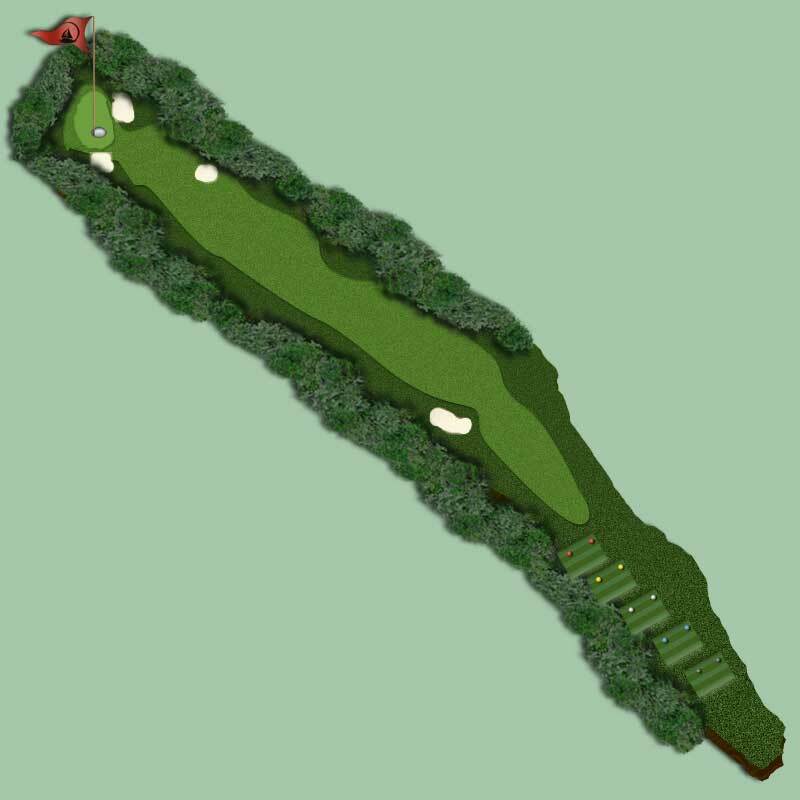 The second shot plays uphill to a long relatively narrow green. A short shot to the green will roll down the false front. The green slopes back to front and right to left. 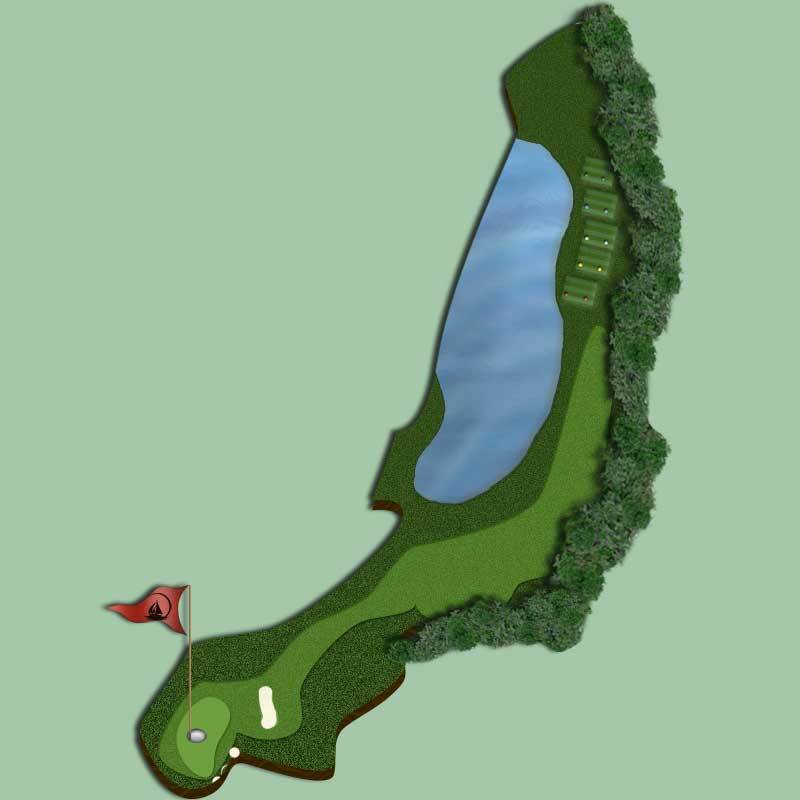 This hole requires a well placed tee shot to the right center of the fairway. Anything short right rolls back into the right hazard and creates a very difficult recovery. Left off the tee results in tree problems short and long. Long hitters beware since the fairway is hard and a powered tee shot can run over the crest downhill to the crossing hazard. The second shot is downhill to a relatively flat green. Putts roll middle to back right and middle to front right. Hit it long and straight or you will be in a hazard right or left. 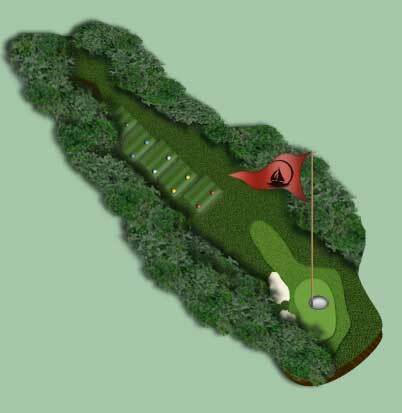 The second shot also requires long and straight to avoid the front and left greenside bunkers. Also, don't go long or face a blind chip to the pin. The green is large and slopes back to front and left to right. 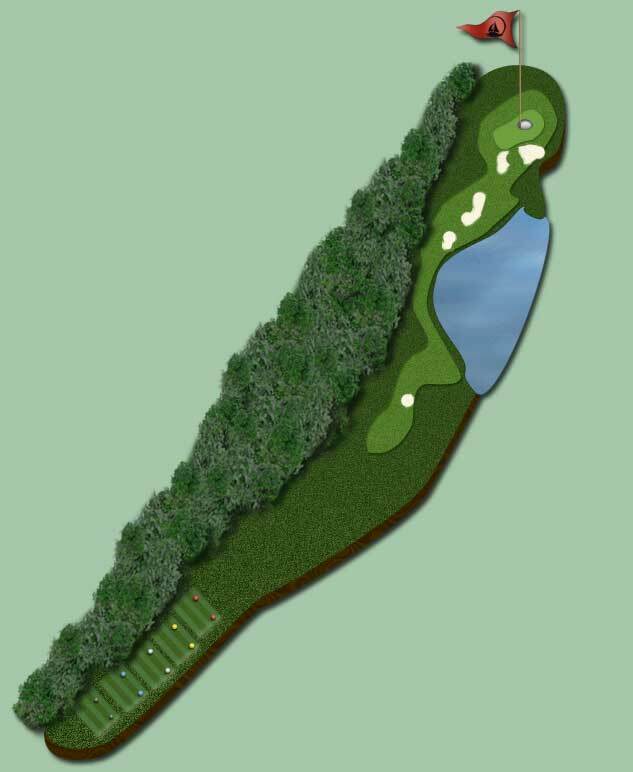 The toughest of the Par 3's, this hole plays uphill and the green is guarded front right with a large bunker and left with a roll-off area the length of the green. The tee shot must be left center and will roll left to right. Beware if the pin is in the front because the false front comes into play. A well placed tee shot gets rewarded but get your 3 and move on. The tee shot here must carry a tee fronting lake and be center cut to avoid a left center bunker. The second shot must avoid a center fairway bunker to set up an easy approach. 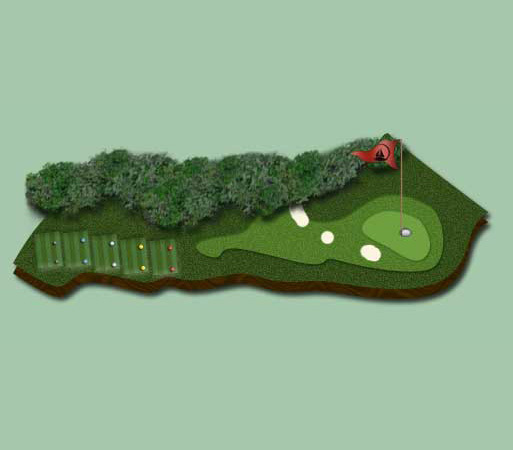 The approach must target the appropriate level of the two tiered green which slopes back left to front right. Get to the right level and enjoy par.